This week Perrin is joined by special guest Bjork Ostrom. 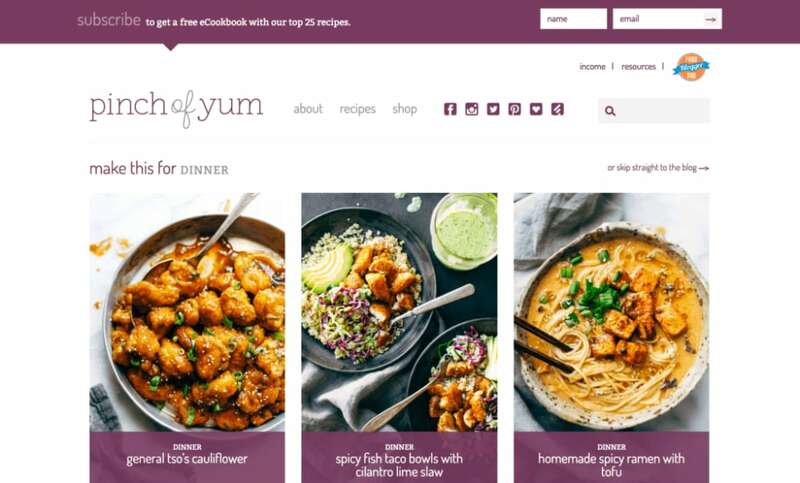 Perrin has been a huge fan of Bjork and his wife Lindsay’s food blog, Pinch of Yum, ever since finding their site through their income reports. In fact, it was one of the first blogs that Perrin had ever seen do income reports. Ever since then, Perrin has followed their progress keenly and even featured the site in an article about how successful bloggers make their money. Growing from the income reports, Bjork and Lindsay now also run Food Blogger Pro which teaches wannabe food bloggers how to start, grow, & monetize their food blogs. In today’s podcast, we are going to dive into the Pinch of Yum story and then focus on how they use AdThrive to generate around 50% of their revenue. Perrin and Bjork will also discuss sponsored content, including how much you can charge for a sponsored post. A Pinch of Yum started in 2010. Lindsay, Bjork’s wife, was interested in posting recipes on social media. After a while, she began to think that there must be a better place to store the recipes. This is where the idea for Pinch of Yum was born. At the same time, Bjork had always been interested in the idea of starting an online business. After reading Crush It by Gary Vaynerchuk, he was pumped. The message was that you can build a business from whatever you passion is. So why not a food blog? Lindsay was willing to give it a try, thus, Pinch of Yum was born. Bjork and Lindsay split the responsibilities. Lindsay was always the content creator. Bjork’s job was to handle the site creation, the back-end and the marketing. The first two years were all about hustling to see if the idea would work. Throughout this time, both Bjork and Lindsay always had either full or part time jobs. In this period, the focus was on creating high-quality content. The focus was on the kind of visitors, not the number of visitors. The rationale was that if they could focus on getting the right kind of visitors, the number of visitors would soon follow. So, Lindsay focused on what she could control in the content. A huge aspect of food blogging is the photography. Lindsay spent time learning her craft until she had perfected the art of food photography. After a couple of years, they could see that the site was really gaining some traction. At this point they recognized it was time to start being more strategic. Bjork decided it was time to learn how SEO works. They doubled down on content creation. As you’ll see with most sites, they were seeing periods of growth, plateaus and then more growth periods. The first big spike came from Pinterest. Strangely, it came from the founder of Pinterest’s mother. For some reason, she had millions of followers. One day, she shared one of Lindsay’s recipes. It was re-pinned thousands of times and traffic continued to flow for months. In 2014, there came a point where Bjork and Lindsay were making more money from Pinch of Yum than they were with their jobs. Why Publish Income Reports as a Food Blog? Food blogging should be done out of passion, not as a business. Your business should be your passion, we can make money from food blogging. Bjork genuinely didn’t know whether it was possible to make money from a food blog. The income reports were an experiment. They called it the “food blog money making experiment”. They were able to report, if you do this then that happens. The reason it worked was that they could make small tactical changes, or try an new traffic generation method and report a significant outcome from it. However, when the site really began to take off, there was a disconnect between what the income reports were trying to do and the effect they were having. They were no longer a scrappy start-up and the advice they were giving was not as actionable as it had once been. Instead of implement Facebook ads in this way, the advice was becoming hire a person to manage sponsored content. It was at this point that it no longer made sense to publish the income reports. Ad Thrive – Why does it make up over 50% of Pinch of Yum’s Income? AdThrive is an ad optimization company that manages relationships with ad networks to maximise revenue. However, to understand what this truly means, we need a brief history of online ads. When ads first emerged, you had to make a deal with brands. You would either agree a CPM or a monthly rental fee for the space and post their ad on your site in the agreed place. The main thing was that you had to do the ad sales yourself. Ad networks would do the sales. All they required was for you to put a piece of code on your site and they would fill your ad space for a cut of the ad revenue. The downside was that these ad networks didn’t always fill all the space. So, you would have to go to a second, lower paying ad network to fill the rest of the space. If they couldn’t fill the space, you would have to go to a third, even lower paying network and so on. Ad Optimization companies manage the relationship with the ad networks. They find the best possible ads, for the best possible price to make sure that you are filling as much ad space for as much money as possible. Bjork started working with Ad Thrive as a phase 3 company. They manage the entire Pinch of Yum ad inventory and optimize all of the ads. 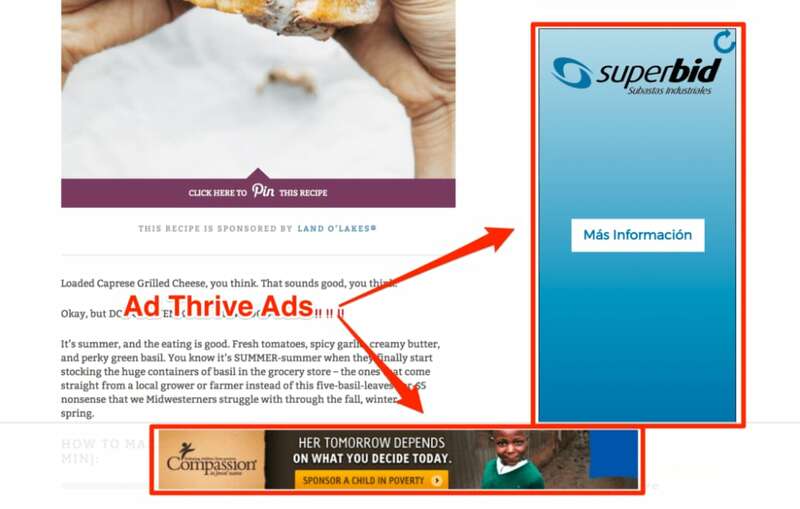 Ad Thrive can make Pinch of Yum over $50k per month in ad revenue. There are other alternatives such as Ezoic and Criteo but Ad Thrive handle 100% of Pinch of Yum’s ad inventory. It’s important to have a balance when it comes to ads. You have to think about how many ads are showing, how visible they are and the quality of the views. An ad is viewable when half the ad is on the page for more than 1 second. Companies are starting to place a priority on the viewability of ads. Before AdThrive, Bjork didn’t have exact RPM (revenue per thousand impressions) information. Now he can pin this down to the range of $11-14. This is good, but it’s not uncommon for ad focused bloggers to get upwards of $16 RPM. They do this by placing ads in prominent places – such as in the content itself or in sticky sidebars that scroll with the reader. When Should People Start with Ads? So at an RPM of $12, you can expect to make $12 per day from ads if you have 1,000 page views per day. Just bear in mind, ads work well with high traffic sites, not so well with low traffic sites. You have to decide whether it is worth it for you based upon your site traffic. The way Bjork looks at it is – are you interested in ads, CPM, RPM and squeezing out every penny you can get from 1,000 impressions? If you are, you can go ahead and get started because you will enjoy what you are doing and make a bit of money along the way. If not, however, wait until it will generate what is a substantial amount of money for you. If you are getting 2, 3 or 4 thousand page views per day, then you no longer really have an excuse to put it off. You need to be strategic about ads. If you have a site that is focused on conversions (e.g. making affiliate sales), having ads on that page can harm your conversion rate. Ad management or optimization companies will either help you or completely manage the setup for you. They will come in, install any necessary plugins and have someone on hand to help you with optimization. There is an application process to be accepted to AdThrive. If you get accepted, there will be someone on hand to help you with this stuff. On top of Pinch of Yum, Bjork and Lindsay also run Food Blogger Pro. Food Blogger Pro is a membership site that teaches people how to create profitable food blogs based upon Bjork and Lindsays’ experiences. This means they have to be strategic about which pages they place ads on and which pages they are looking to use to push readers towards Food Blogger Pro. You have to consider the disruptive effect that bad ads have upon the user experience. You can shove 10 ads on a page but it is going to ruin the user experience and people will stop using the site. Also, you need to optimize ads for different devices. There is no sidebar on mobile. You need to have different ads that work for users on mobile. To generate revenue, ads also have to be visible. This may mean placing ads within the content itself or within a sticky sidebar that scrolls with the user. Finally, focus on the quality of the content. 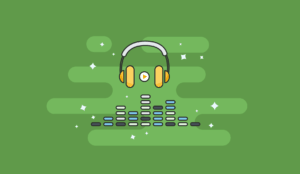 Are people genuinely interested and engaging with your content? You can earn more money from ads if you have a high quality of visitor. Given that we are so SEO focused, sponsored posts are totally alien to us at Authority Hacker. I mean, who would pay for a sponsored post when you have to nofollow the links?! Well, it turns out that a lot of people will. 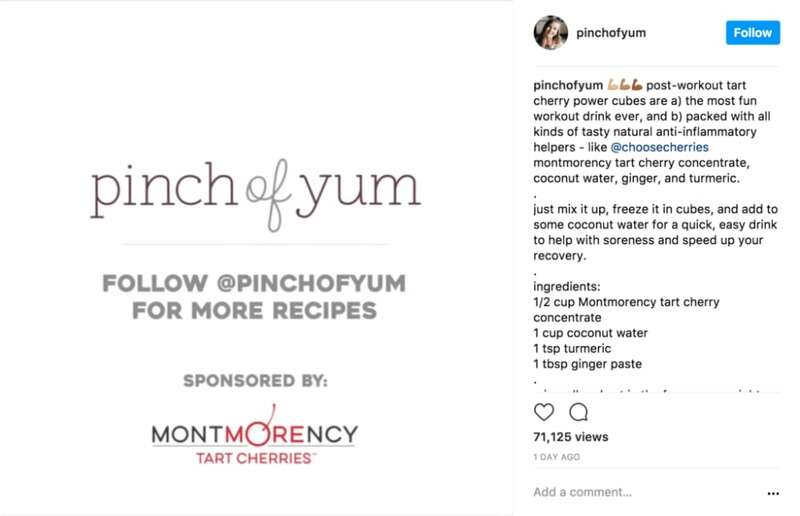 In fact, Bjork tells us that Pinch of Yum can generate significant revenue from a single sponsored blog post or video on Instagram. What is a Sponsored post and who is buying them? With sponsored posts, you are going to be dealing with brands. In this context, you have to be aware that there are different people within these companies looking for different outcomes. Yes, there will be someone sitting in the company whose job it is to rank higher for certain keywords but the people who you are dealing with for sponsored content are more interested in attention or exposure. This may be in the form of a sponsored blog post with product placement and links to the product, it may be in the form of an Instagram post or a YouTube video. On top of the exposure, they are also looking for referral traffic. They can track the traffic coming from these sources, the purchases that have been made and they can calculate an immediate return on investment. Does sponsored content demand a higher price on the blog or social media? For Pinch of Yum, the blog and Instagram are the best and most interactive platforms. This makes them ripe for sponsored posts. If you were very personable and good at making YouTube videos, this would also be a great place to create sponsored content. Brands who are running non-SEO campaigns tend to be more interested in social media. Bjork also says that Pinch of Yum find it a lot easier to create produce a video for Instagram than creating an entire blog post. What price can you command for a sponsored post? An interesting point to note is that you can use your engagement metrics to price a post. For example, if, on average, you get around 1,500 likes and 100 comments on an Instagram post, you can use around $1,600 as a baseline. Really though, the bigger you are, the higher a premium you can place on a guest post. For a blog the size of Pinch of Yum, they can easily charge anywhere in the range of $5-10k for sponsored content. Who Does the Sales of the Sponsored Content? Nowadays, it is all inbound through the contact form. 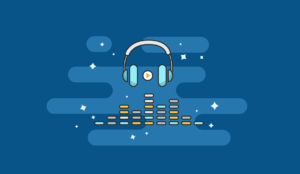 Initially, they worked with an agency that would manage the entire sales process and interaction with the clients but Bjork sees it as being much more beneficial to handle it all in-house. Pinch of Yum usually agree a package of 4-6 posts rather than just a single post. In the sales process, the most important thing is to be very clear about the deliverables and note these down in the contract. This should include – how many photos, the number of links and to which pages, where the content will be posted (social channels) and how many times. It should also include the number of revisions that the organization can make, including the types of changes and the amount of input they have into the content. It is important that the brand has some say but the content still has to be in your own voice. What are the First Steps for Someone With a Large Following who hasn’t Done Sponsored Posts? The first thing to do is to create a Work with Me page. Here, you can put information about your sponsored content, link to any sponsored content that you have done previously. If you have not done a sponsored content before, you could create some example sponsored content. From there, you can reach out to the company and start to build a relationship with them. Or, you can simply start building relationships with people from companies you would like to work with. The best place to begin is with social media. Drop them a message and start engaging with them. Remember, don’t try and sell them straight away. Build the relationship first. If you are a small site, it makes sense to start building these relationships straight away in the hopes that they will mature further down the line. 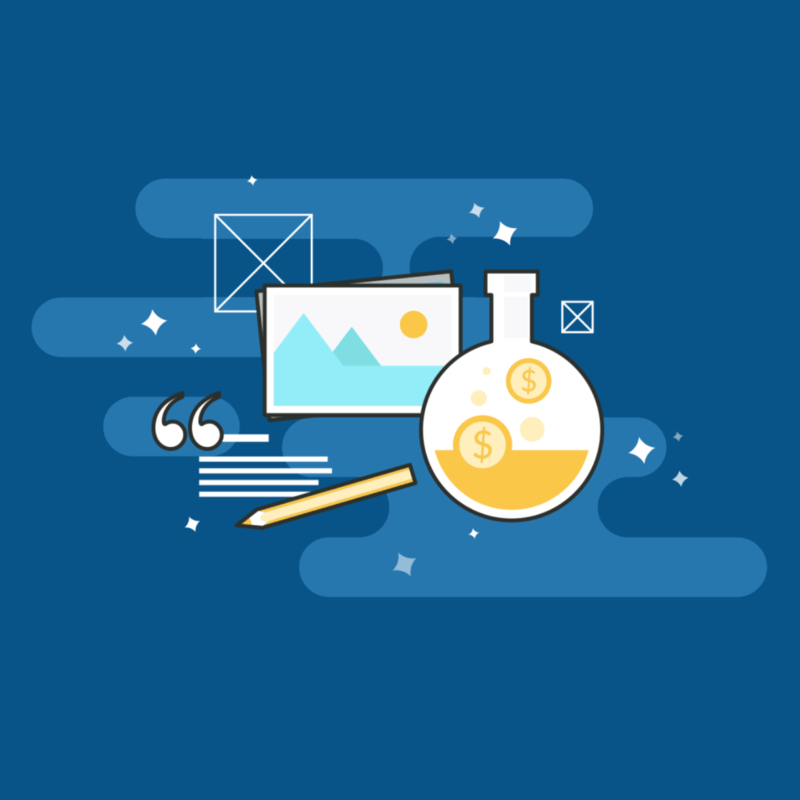 It can also make sense to start building a portfolio that you can share with people who may want to purchase sponsored posts in the future. If you are in a high traffic niche, ads and sponsored posts are a great way to generate revenue. Bjork and Lindsay have proven that both monetization methods can be extremely lucrative. 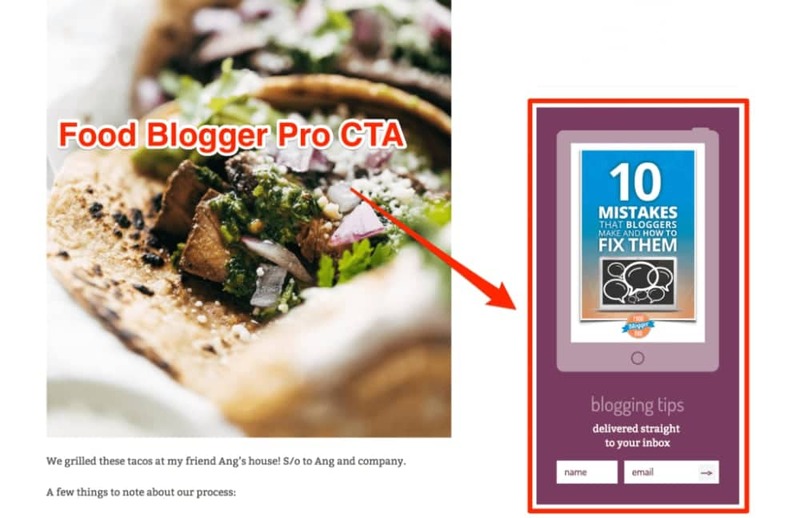 If you are running your own food blog, it could be worth checking out Food Blogger Pro or you can also use their WordPress plugin to markup in your recipes in a way that is easy for Google to recognize. Finally, if you are interested in reading more about the Pinch of Yum income reports, you can find them all on their site – here.